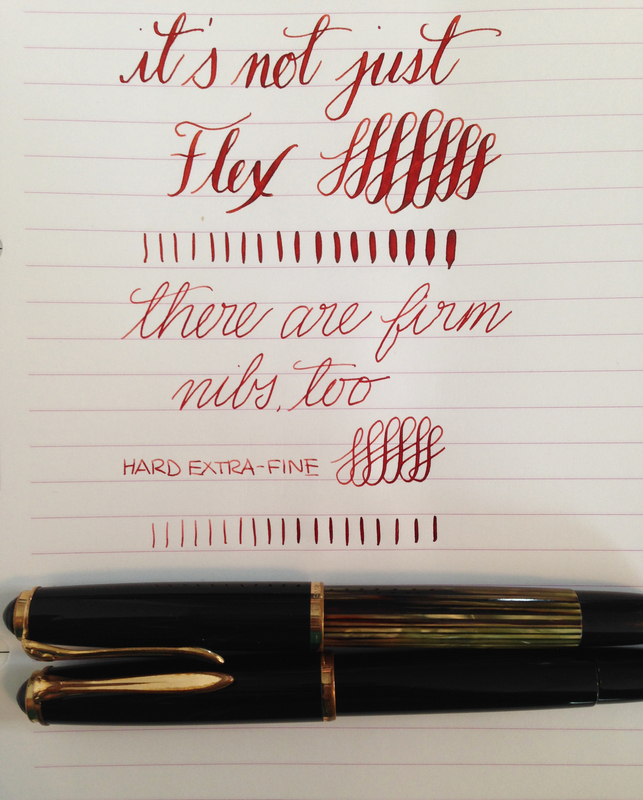 Maybe you’re not interested in flexible nibs. That’s okay. I can look past that and still like you. However, vintage pens offer much more than just flex nibs! You can also fine hard nibs as well, like this Pelikan below with a hard extra-fine – it’s precise and crisp, much like the modern Pilot PO nib. The best of both worlds, of course, is having one of each. This entry was posted in Vintage Pens and tagged Flex, Flex Nibs, Pelikan. Bookmark the permalink. Follow any comments here with the RSS feed for this post. Post a comment or leave a trackback: Trackback URL.